The fascination with Eighties Sunset Strip sleaze rock continues in earnest overseas, especially in Sweden and Italy. 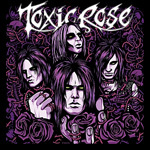 Toxic Rose rises from the former country with four veterans of the Stockholm scene: Tom (Gemini Five), Andy and Michael (both ex-Lipstixx 'n' Bulletz) and Goran (ex-Sexydeath). Toxic Rose: stay away from magnets. When considering this album, especially in the light of the hyper-stylized band promotional photo (right), one wonders if this self-titled EP would be more image than substance. 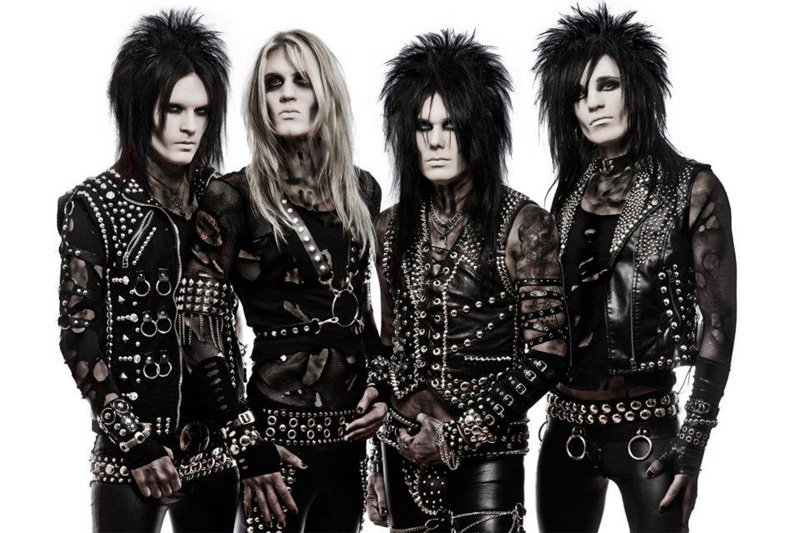 Sure, they get 'the look' right, three of them looking like a younger Mick Mars on his best Sunday, but can they write decent songs and play well? The answer is yes, and this band is pretty good. The EP delivers five good melodic hard rock songs edging towards melodic metal. There's a nice layer of synthesizer here and there, mostly for texture. Andy's got the requisite sneering vocal style nailed down, the rhythm section is tight and, while not overly inventive, the guitar solos are enthusiastic. The first three songs are the most catchy of all, with the last two requiring more than a few spins to be appreciated. Generally, the EP sounds good, and Toxic Rose certainly knows it's style of music. It's a promising start. Recommended. Another sleaze rock band from Sweden? You don't say. I do say, and Toxic Rose is off to a good start.